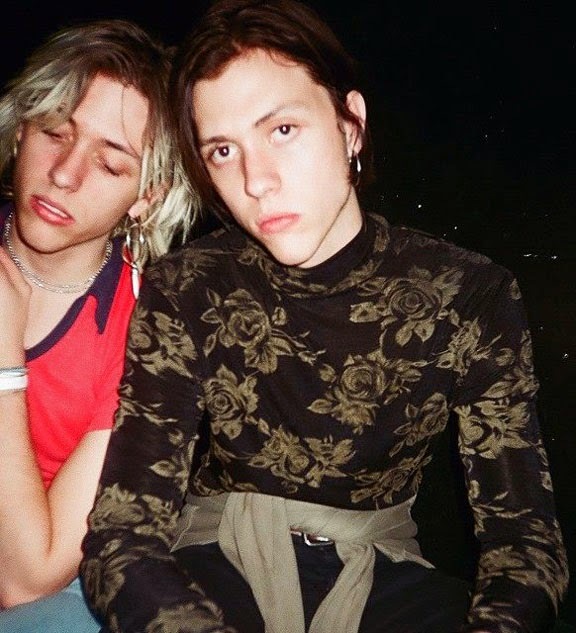 As The Garden, twin brothers Wyatt and Fletcher Shears churn out a unique brand of art punk. To hear them puts a huge smile on my face and raises an eyebrow but to see them live is a totally adrenaline filled, joyous experience. As headliners I feel an anticipatory buzz deep in my veins well before they hit the stage. As part of an indie festival they are surely desert, the ultimate sugar high. Their sonic ice cream is a blend of sounds that (to me) feels rooted in late 70's early 80's proto punk. It is a collision of subversive flavors folded in on itself made up of prog, punk, art rock, industrial fusion with a funk chaser. Throw in influential artists like Material, ESG, Joy Division, Devo, The Normal and push liquefy. Fletcher and Wyatt like the creative offspring they are have too much creativity to contain into on artistic outfit. Fletcher paints new synth sounds as PUZZLE and CHUD Records has just released Wyatt's incarnation as Enjoy on cassette. The result is a 10 track album entitled Punk Planet. It is available on pre-order at www.chudrecords.com. So, you may wonder (?) what does Enjoy sound like?? As with any good music worth hearing it is not all that easy to describe and that is a great thing for people like me who like unusual sounds. Part of that Garden feel (in terms of fusing so many proto-punk sounds) is still there but Wyatt tempers the sound down with 80's pop and tropical punk sprinkles. Even though Enjoy sounds nothing like The Drums or Roxy Music or Abe Vigoda or Haircut 100 they flashed in my mind but then so did Sponge Bob Square Pants, The Fresh Prince of Bel-Air and Fred Astaire. I guess it is because the head bopping tone can feel almost like twisted TV theme songs and if they were I would definitely want to see those shows. 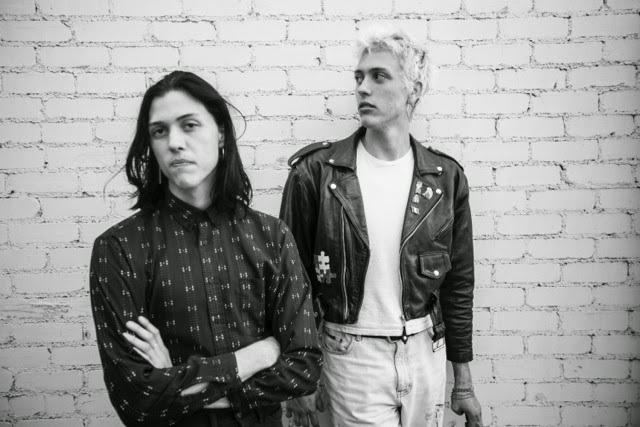 On tracks like Bittersweet, Your Company and The Relaxer, musical melodies dart, stop, slow down, rush from one point to another while Wyatt's vocals playing the affable party host. The result is a hyper sense of reality. Everything feels artfully skewed. The musicality is solid, it is proggy while playing with funk, post disco and tropical punk sounds. The Walk is cagey and funky sweet (I thought funky Talking Heads for a split second or their off shoot The Tom Tom Club). The punk funk Real Struggles playfully pushes the tempo shifts to the extreme. California & Texas flows from a new waves Drums-ish sound to a travel commercial. Punk Planet is appropriately dancy and spacey. Cool track full of wah, wahs and a super tight drum break. Maybe the signature track, I've Got The World In My Pocket, feels the most like The Garden if the Garden was pushed through a sitcom strainer. Even though it is hard to discern if the song's tone is true or ironic it is the ultimate punk party song and at slightly over two minutes long feels like a super charged life affirming vitamin pill. 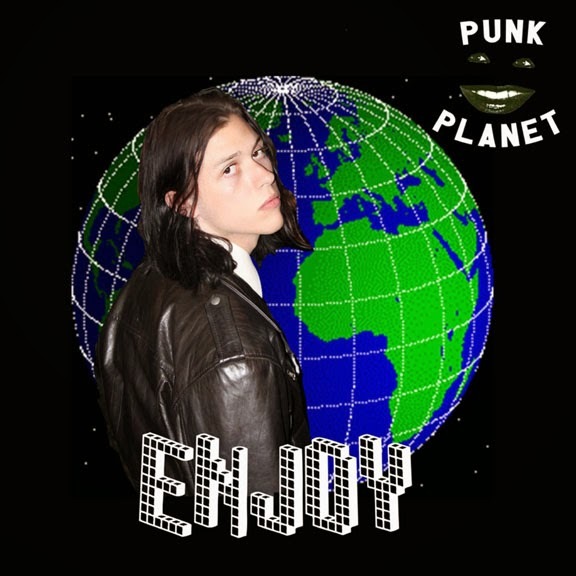 In the end, Punk Planet hooks you in with seemingly free form fun catchy tunes that after repeated listens keep you around for the twisted atmosphere and solid musicality. Add this release to your sonic collection and you will cherish it.